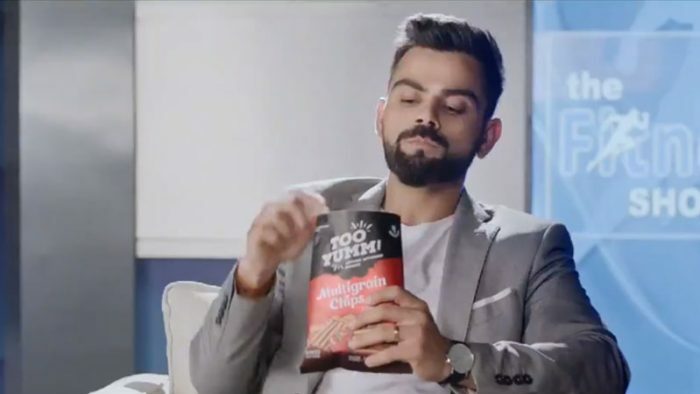 With Virat Kohli posing with chips in Too Yumm’s latest teaser campaign, Social Samosa takes a look at some of the launch campaigns the Indian social media space has seen in the last few years. Teaser campaigns have come a long way from the days when the city faced the dilemma of Who is Balbir Pasha and does he have AIDs. Teaser campaigns have always found a place in the marketing mix, however, the nature of these campaigns have evolved with the times. What happens when you have admired someone, tried to emulate them and suddenly they let you down? A similar story was told, when a few astonishing images of Virat Kohli binging on a packet of chips were doing the rounds on the internet. Twitterati didn’t take it too well and the trolling began. The images received a lot of flak and some even attributed the recent elimination of Royal Challengers from the league to Kohli’s unhealthy eating habits. @imVkohli… appreciate your decision of not advertising for "Soda product" in view of not advertising unhealthy product. Why then advertising chips brand. Hope u know it's not so called healthy inspite of being called so called "Non-Fried". This comes close on the heels of, Virat resolving to lend his name only to those brands which he himself uses and believes in. As per a TOI report, he refused to renew his contract with Pepsi, which ended in April this year, because of its association with poor health. Further, he denied endorsing fairness creams, because they relate one’s success with skin tone. Now that Kohli was seen bingeing on chips came across as a contrasting move. Soon, Virat cleared the air by tweeting an open letter to his fans. Virat explained that he would continue to remain committed to his fitness regime. He promised that fans would have their answers, during the first strategic time-out of the IPL match on May 19, 2018. Virat posted a video that provided answers the question #WhyChipsVirat. He revealed that he has been bingeing on TooYumm multi-grain chips, which are baked and not fried. The video received 2.9K retweets, 37K likes and nearly 1000 replies. According to the National Crime Records Bureau, the cases of reported dowry deaths in India in 2013 stood at 8083. In spite of such a depressing scenario, what happens when a well-known matrimonial site asks you to find out how much dowry you’re worth? Shaadi.com’s dowry calculator initially received massive criticism for being insensitive. On landing onto the micro-site, one was asked to enter their age, profession, education, monthly salary and location, as criteria for computing dowry. It goes on to ask whether you own a car or a house. After you have provided the inputs, the slot machine calculator starts computing a number, disguised as a dowry amount, only to slap you later with a hard-hitting metric – Dowry deaths reported in India spanning the years 2001-2012. It ends with a call-to-action to make India a dowry free society. Film promotions got a new dimension, when Vidya Balan starrer Kahaani 2 floated a ‘Wanted’ poster – on the lookout for Durga Rani Singh (Vidya Balan’s character in the said movie). The poster accuses the character of kidnapping and murder and stitches in the movie’s Facebook page link as a call-to-action. Kahaani 2 also posted a teaser video on its Facebook page. Contrary to accepted practice in Bollywood, no announcements were made regarding the release of the film’s teaser poster, in order to replicate the wanted posters commonly posted for missing criminals. The poster was later shared by Balan too, on her Instagram and Twitter handles. Regret making a drunk call or sending a text that you shouldn’t have last night? And this time it was Ola, which was not only drunk texting, but also drunk driving, a week before New Year’s eve in 2016. It didn’t even spare Baba Sehgal and asked him to hit the gym. ‘Drunk’ Ola also wrote to Zomato, NetFlix and AIB. Soon after this gimmick, Ola demystified the confusion and revealed it’s take on drunk driving. The video ends with a call-to-action to enjoy responsibly, and call for an Ola cab when drunk. An extension of this campaign stemmed from All India Bakchod’s Facebook page. Twitter user Reggi Dsouza tweeted an image of a shopping basket hosting various ice creams and a pack of Britannia Jim Jam biscuits. While the social media managers behind Havmor replied with a cheeky remark, Britannia responded with an equally tongue-in-cheek tweet. The host of this tweet thread ad just kick-started a tweet-off between both brands. 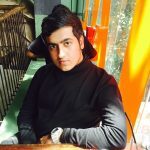 #HavmorVsJimJam soon started trending and a page for an upcoming Twitter war between the two brands was also created. The build up was later informed to be a teaser for Havmor’s upcoming Jim Jam falvour ice cream. The teaser format works because it is built on the foundation of a strong emotion – curiosity. Of course, it comes with a higher cost – risk. There is a risk, that people might not engage with all elements of the campaign and half knowledge is surely dangerous. Shaadi.com for instance was exposed to a sharp risk of being boycotted, for celebrating dowry. If one doesn’t land on to the calculator to see the awareness message, they may spread a lot of negative banter and that would do more harm than good. Teaser campaigns are likely to be trolled, when people don’t take it too well that they have been pranked on. However, it generates a lot of traction in the process and if we were to believe ‘all publicity is good publicity’, so brands may not mind. The most essential pillar to such campaigns is a strong and timely follow-up strategy, to demystify the curiosity that has been created. Failing to do so would mean that people continue to make assumptions and this would ultimately result into an online PR crisis. Brands must also keep handy a crisis management communication strategy handy, when orchestrating such stunts.